As a toddler, you started by simply reciting numbers and then learned to count objects. Not everyone on this planet develops that skill. 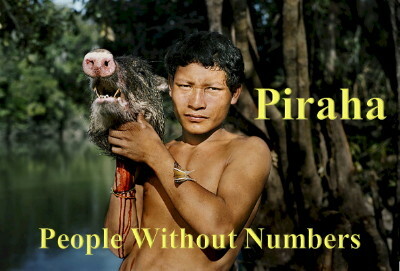 For example, there is a tribe living near the Amazon, the Piraha, which does not have a concept of number as we know it. You can learn a little about them here. Some mathematicians specialise in counting. Of course, they don’t just count objects. They count possibilities, options, pathways, arrangments, combinations, etc. This kind of skill is called combinatorics. Some of the results we get when counting possibilities and arrangments are absolutely astonishing. Believe it, or not, every time you shuffle a pack of cards you create something that no one else in the history of our planet has EVER created! We can deduce this because counting such arrangements is very simple. Arranging three different items in a line can be done in 3×2×1 ways. Arranging eight different tiems in a line can be done in 8×7×6×5×4×3×2×1 ways, etc. Mathematicians use this pattern so often that we have created a name and a symbol for it. 8×7×6×5×4×3×2×1 is written as 8! and we call it "eight factorial." You probably have a button on your calculator labelled with [x!] that will perform these calculations for you. It is difficult to understand or grasp the nature of a number that large (but I try). I hope you enjoy learning about the art of counting arrangements, about factorial notation, and about the amazing insights that we can gain into some of the simple acts we perform ... such as shuffling a deck of cards. Remember this next time you play! Have you ever wondered why car number plates (registration plates) have changed their form, or why there is such variety? In every county, over time, the arrangement of letters and numbers on vehicle registration plates changes. When I was a child, every vehicle registered in Australia was given a number plate consisting of three letters followed by three numbers. In time, this changed, and we now have quite a variety of different forms. The reason that these changes took place was because, eventually, there were going to be more registered vehicles than there were possible arrangements on the standard plates. The mathematics involved in counting these arrangements is quite simple. I encourage you to have a quick look at this video to gain some insight into how such an elementary idea can lead to such changes in the world around us. If you wish to learn more, Google Combinatorics. This is the branch of mathematics that is devoted to counting (i.e. the counting of possibilities, options, pathways, arrangements, combinations, etc.). In short, imagine that your country had adopted number plates such as AH 34 TM (two letters followed by two digits and two more letters). This would mean that the number of combinations possible would be 26 × 26 × 10 × 10 × 26 × 26 = 45,697,600 (remember that there are 26 letters in the English alphabet). This figure means that, if your country had close to 45 million registered vehicles, the authorities will have to consider introducing new registration plates with a different combination/structure before they ran out of all the possible combinations on the old plates. It would be too confusing (and create legal problems) if more than one vehicle shared the same registration number! I was at a school camp and I think we had been playing snap, or something like it. As we were packing up for bed, one of the students approached me and asked if I would like to play '52 Pickup.' Eager to learn some new game, I agreed. To my amazement, he threw the entire deck of cards high in the air and, as he ran off, called out over his shoulder, "Pick them up!" I learned a few lessons that night. One of the less painful ones was that there were 52 cards in a deck (excluding the jokers). Many years later, I wondered how many different arrangements (or configurations) were possible for that deck when the cards landed. A problem such as this belongs to the branch of mathematics called Combinatorics (the art of counting). As you can see, mathematicians don't just count objects. They also count possibilities, options, pathways, arrangments, combinations, etc. Now, this particular problem is a difficult one. In this video I raise the question and then show how I began to seek a solution. The result is astounding! I encourage you to try to solve the problem yourself BEFORE reading my solution. You will gain in two ways: you will have exercised your mind (and may even solve the problem yourself), and you will be in a much better position to understand what I have written. You may not understand all that you read, but I ask that you skim enough to 'get the gist of it.' Watching another mathematician at work is a wonderful way to learn. I certainly encourage you to read the conclusion! This number is HUGE! I start by deciding on some definitions or clarifications. I decided not to worry about whether cards were face up or face down, or what their orientation was (i.e. if they were rotated on the spot). I was merely concerned with the position of the centre of the card. I also decided that Cards could not land in an exact line (or exactly on top of each other) ... that, if I magnified the situation sufficiently, I would be able to determine that a card might be just to the right or left of the line between two other cards. As any mathematician would do, I then started with small arrangements. How many ways could three cards fall? What about four cards, and so on? I hope you find that my solution makes sense to you. I had three epiphanies while watching this. Thank you so much!